Got clutter but it’s beyond your control? Know someone like this? Based on the hit show Hoarders on A&E, this presentation by the local owners of Steri-Clean Pittsburgh takes a deeper look into hoarding. What is hoarding? 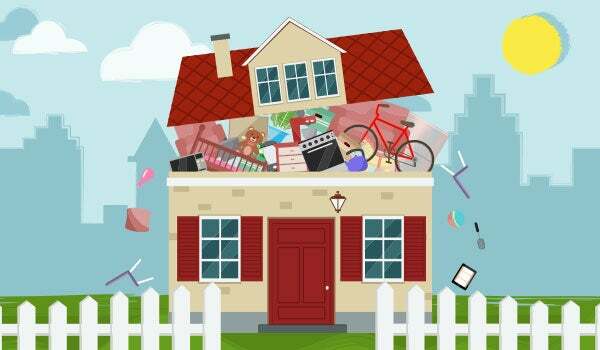 Any person who is unwilling or unable to get rid of their items, even trash, might suffer from hoarding disorder. When the basic functions of a home —like the kitchen, bathroom, or even bedroom—can no longer be used for their intended purpose, the individual must seek help. The biohazard portion of the talk provides an in-depth look at the dangers of cleaning up rodent droppings, needle cleanup, animal and human waste, superbugs and more. Whether you need a helping hand to declutter or if you’re just curious about the condition, register today! Bio: Marc and Rachel met on a flight from Atlanta to Pittsburgh in 1996. They married two years later and now have three children, a little dog and two cats. Marc and Rachel purchased the Pittsburgh franchise of Steri-Clean in 2016 and have quickly grown the business to cover western Pennsylvania and eastern Ohio. They have expanded services to cover Hoarding, Crime Scene and Trauma Cleanup, Odor Remediation, Animal and Human Waste Cleanup, as well as Superbugs / Decontamination. The couple is grateful for this opportunity to serve others during these very difficult life experiences.